The Goddard School of Science and Technology serves 586 students from Kindergarten to 6th grade. 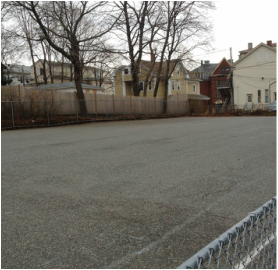 The school is a lovely learning environment filled with wonderful, dedicated teachers; however, their outdoor recreation spaces will be greatly improved by the resources and volunteer muscle of Working for Worcester. 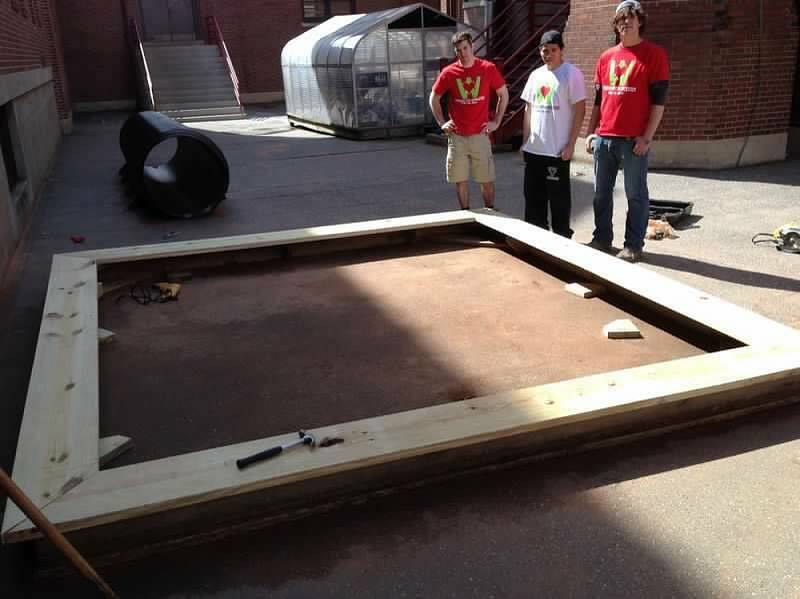 On April 20th, an army of WforW volunteers headed to Goddard to tackle four mini site projects: Paint the interior hallway and entranceway of the school, install a commercial basketball hoop in the schoolyard, build and prep community gardening beds, and repair the rotted sandbox. After a full day of hard work, all four of these tasks were successfully accomplished. 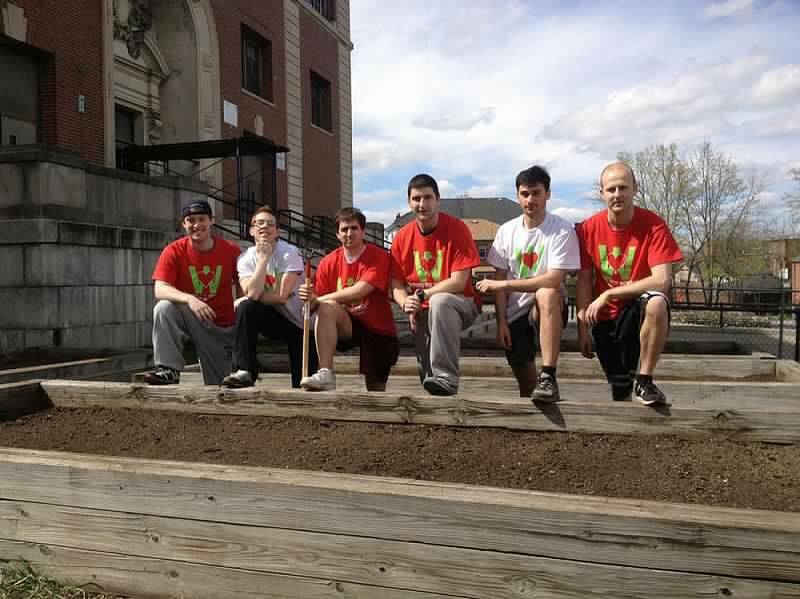 The volunteers prepped the gardening beds by installing fresh lome and lattice lines for vegetable planting. 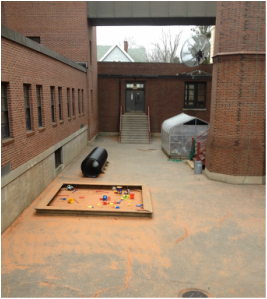 They ripped out the rotted wood of the sandbox and replaced it with new, safety non-chemically treated wood. 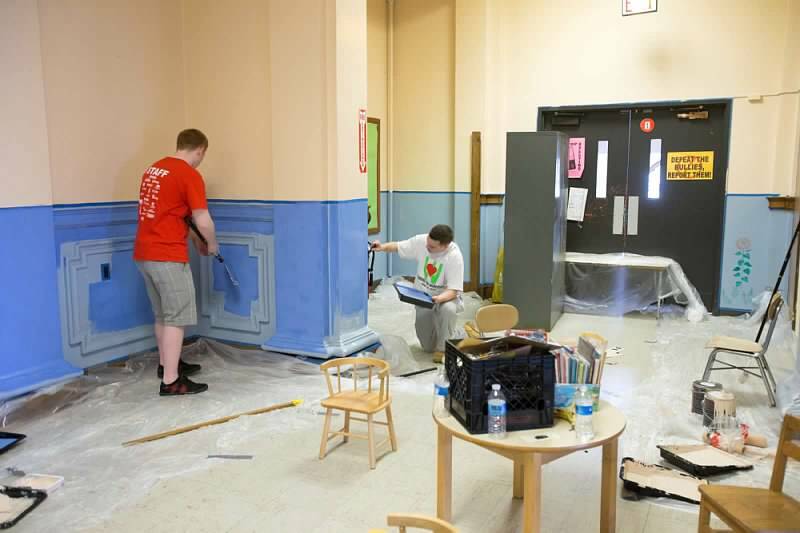 The interior of the school got a thorough facelift as the volunteers painted the entranceway and hallway walls. 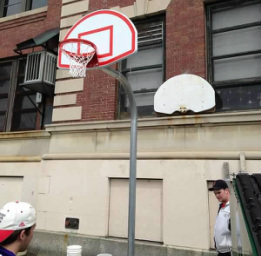 Finally the site finished up with the installation of a full size in-ground, commercial grade basketball hoop. 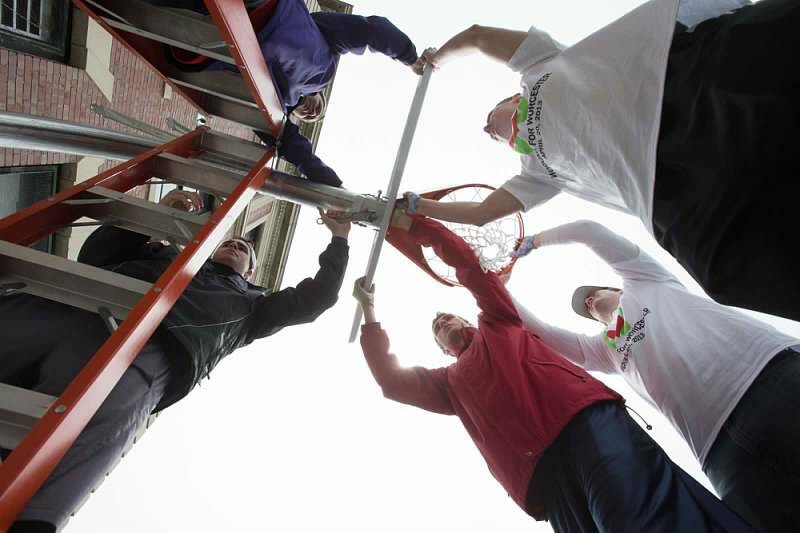 The local community around Goddard saw the commotion and enjoyed interacting with the volunteers and participating in the workday!!! Cite manager, Jack Carter planned and coordinated all aspects of the Goddard School project. To learn more about Jack and the rest of the managing team, click here.